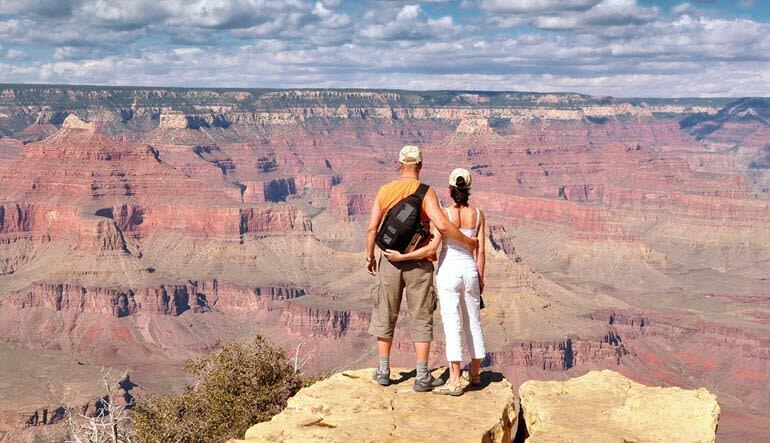 Let us provide you with a once-in-a-lifetime experience with Grand Canyon Destinations where we offer Grand Canyon tours from Vegas! Your day trip from Las Vegas begins with a convenient hotel pick-up in our luxurious fleet. Our buses are all state-of-the-art model vehicles with adjustable seating, individually controlled air conditioning, and panoramic windows. There is also a unisex lavatory aboard with a hand washing station for customer convenience. To start the morning, we offer you a delicious snack for breakfast to enjoy along the way. 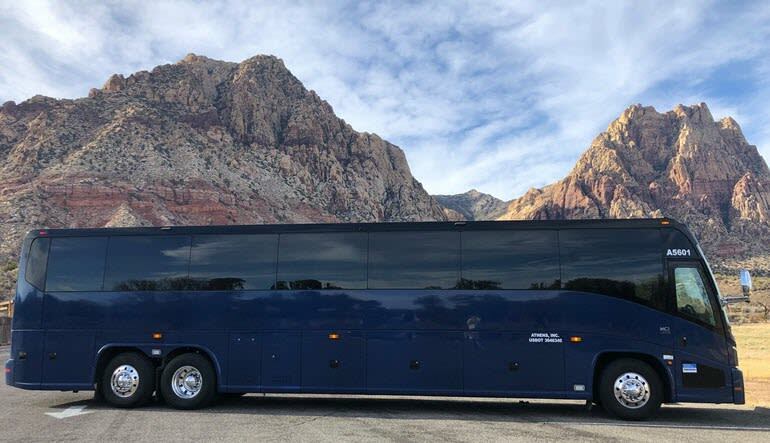 Our experienced staff will guide you to the picture taking opportunities as travelers set out to embark on the man-made wonder for the first stop of the day, the Hoover Dam. 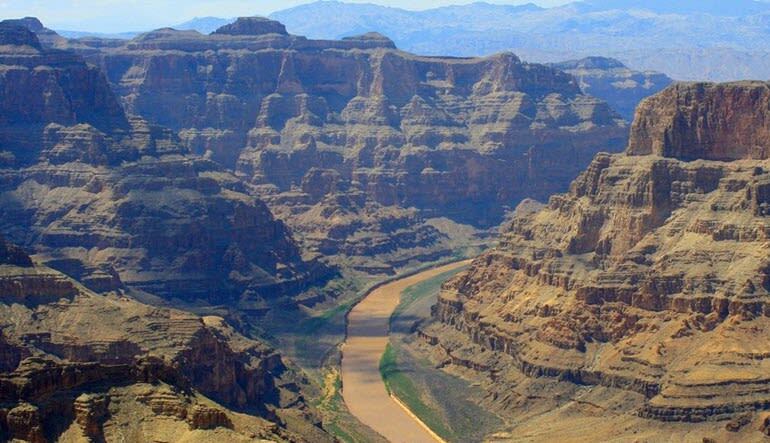 A true postcard moment when you can take stunning photos of the Hoover Dam and Colorado River. The excitement doesn’t stop there! Along the way we’ll visit other recognizable sites, like traveling on the iconic Route 66 that includes a gift shop comfort stop in Seligman, Arizona. A blast from the past brings travelers up close and personal to famous signs and vintage cars from the 40’s and 50’s. 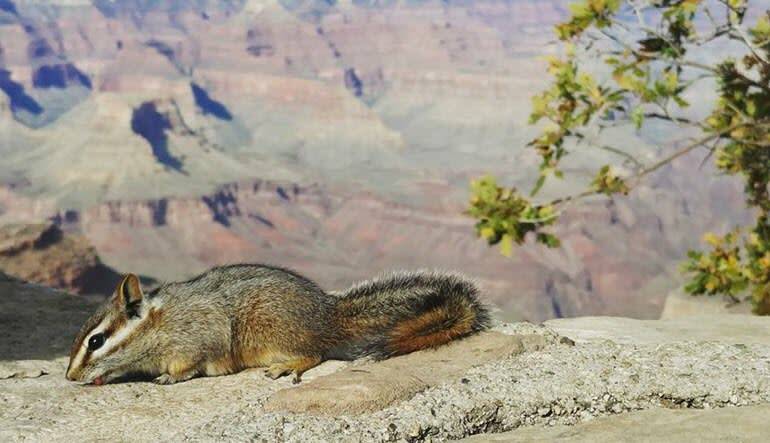 The trip back to Las Vegas begins after visiting both Mather Point (45 minutes) and Bright Angel Lodge (2 hours). We’ve got a tip for you! Walk along the paved road between the two points and enjoy the absolutely breathtaking views. We’ll take you home in comfort with a stop in Kingman, Arizona. Here, West Coast foodies and burger lovers at heart can savor the California-based In-N-Out Burger for one of their famous burgers (vegetarian options also available). As for the last memorable moment of the day, the return to the Hoover Dam makes for a photographer’s hero shot complete with sweeping nighttime views over the Mike O’Callaghan-Pat Tillman Memorial Bridge. With the Las Vegas twinkling lights in the distance and a loved one to share it with, we assure you it will be the highlight of your trip to the Entertainment Capital of the World! 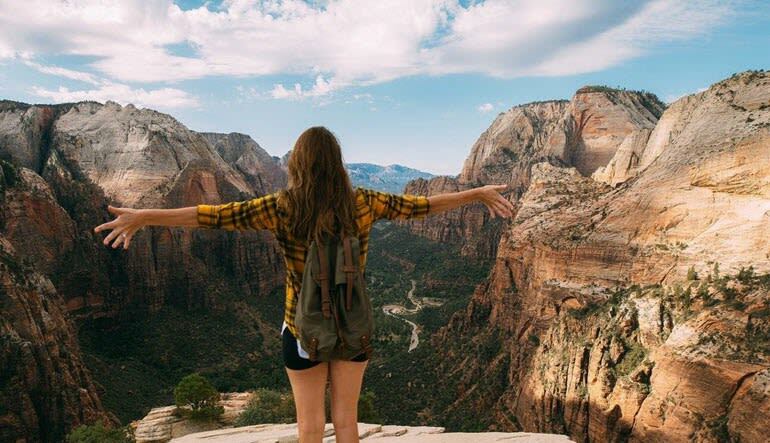 Spend 3 hours exploring a natural world wonder. Our drivers are tour guides that are professional, knowledgeable, and friendly.